Select the desired classes from the dropdown list. To unselect a class, select the blank item. First time registration for this year ? 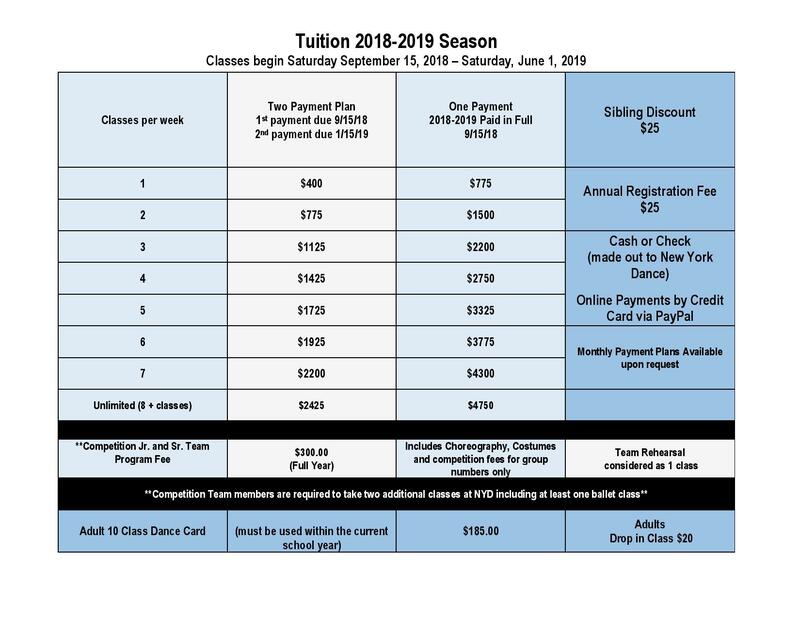 "Scroll down page to view tuition schedule"
I have read, understood, and agree to the policies of New York Dance.